an LIA for more than 40 years. 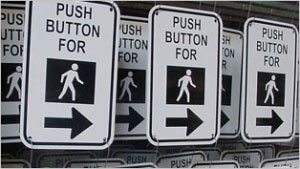 the option that will best meet your specific needs. production runs, as well as smaller custom runs. with thin or thick films offers the ultimate in fluorocarbon coatings. used to make a polymer. a small or large image on a product up to 8-feet across. with single or multiple colors. excellent quality, innovation and service. 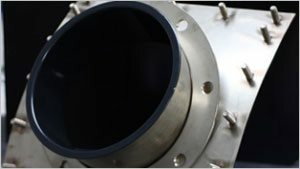 material that stands up to almost anything. Crest Coating has been applying ceramic coatings for over 40 years. coating turns out the highest quality. to address the stringent requirements of commercial bakeries. Crest Coating, Inc. is Orange County’s premier coating expert. 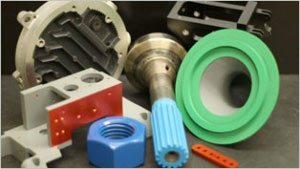 As a total solution coating applicator, we offer a complete line of powder and liquid coating options for metal, wood and plastic products, for any size production runs. 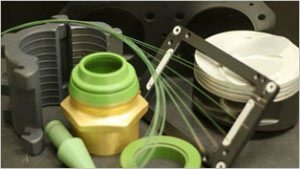 We specialize in all types of coatings including Teflon coating spray, PFA powder coating, PTFE coating, Halar coating, Xylan coating, and high temperature ceramic coatings. We are located in Orange County, but our vast expertise is recognized nationwide! Crest is unmatched in experience and quality, enabling us to meet your high volume, custom, quick-turnaround and prototype needs, all in our state-of-the-art facilities. 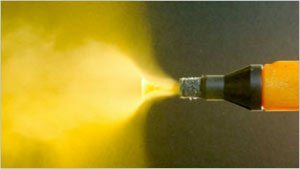 Crest Coating, Inc. was established in 1967, and our experience and knowledge in both powder and exotic liquid coatings is unsurpassed. For over 40 years we have retained the status of Chemours Licensed Industrial Applicator, as well as Approved Applicator for Whitford Xylan®, Halar®, BCS Technologies, and other exotic coatings. 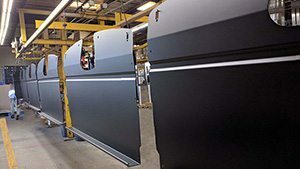 We continually keep pace with the latest technological developments in coating products, equipment and application methods and have designed coating systems for many Fortune 500 companies. Crest Coating knows it takes the proper equipment to produce quality powder coating. If the necessary equipment is not available, we design it ourselves. Crest Coating is one of two firms licensed to apply BCS Coatings in the U.S. For years, commercial bakeries have had to rely on pan coatings that do not provide the release or longevity needed for optimal productivity. Today there is a large array of powder coatings, from high temperature powder coating to antimicrobial powder coating. We bring our long history of experience and expertise to help you find the option that will best meet your specific needs. In order to ensure optimal performance of their Teflon coating products, Chemours recognized the importance of an expert application procedure for Teflon coating spray. To accomplish this they created their Licensed Industrial Applicator (LIA) program that includes approximately 20 coaters nationally. Crest has the distinction of being an LIA for more than 40 years. Whitford saw the importance of a properly engineered and applied coating system. A “Quality Approved Coater” program was established to provide industry competent sources to apply their products. Crest Coating is a charter member in this distinguished network of experts in Xylan coating services. 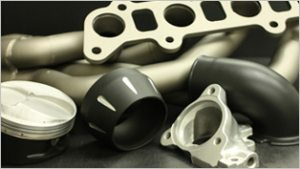 PFA powder coating offers the high temp properties and performance of PTFE® (Teflon™) in a thermoplastic. 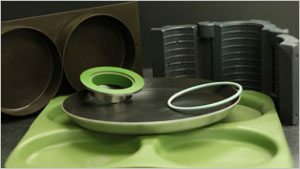 This unique balance of properties combined with the capability of uniformly coating complex shapes with thin or thick films offers the ultimate in fluorocarbon coatings. 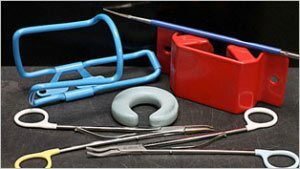 HALAR® is known for its high impact strength, resistance to corrosion and chemicals, its cryogenic properties and high electrical resistivity. A HALAR coating is an excellent choice for bearings, cams, wires, vessels and process equipment. Crest Coating has been applying high temperature ceramic coatings for over 40 years. Our experience and state of the art equipment will ensure that your coating turns out the highest quality. 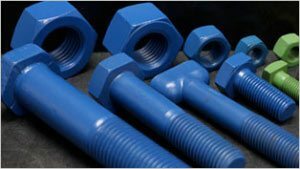 We’ll provide the best solution for your fastener coating needs, whether its corrosion resistance, controlled torque, low friction or high temperature resistance. 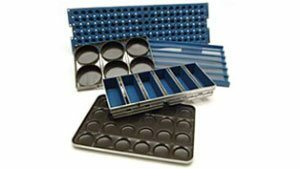 Choosing the right coating will make your fastener both easy to use and long lasting. When a protective coating is your first objective, make Nylon your first choice. 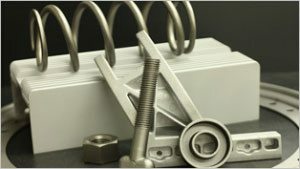 A Nylon powder coating combines thermal stability, physical durability, chemical resistance and mechanical integrity into a material that stands up to almost anything. Screen printing, also known as silk screening, can be used on products of various shapes, sizes and substrates. We can reproduce a small or large image on a product up to 8-feet across. Screen printing is a good choice for both short and long runs, with single or multiple colors. At Crest Coating, we know the key to a good finish is the surface preparation. Abrasive blasting is the best way to remove rust and oxidation, and at the same time provide a good surface on which coating can adhere.